The recipe comes from the cookbook Lick The Bowl Good. 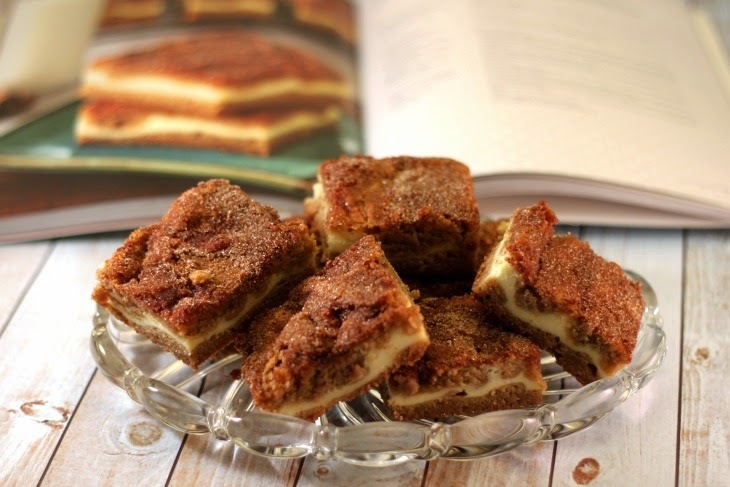 It is written by Monica Holland who also blogs at Lick The Bowl Good Be sure to click on over to her blog and see her Snickerdoodle Cream Cheese Blondies in the heading of her blog. I made these out of Monica's cookbook. 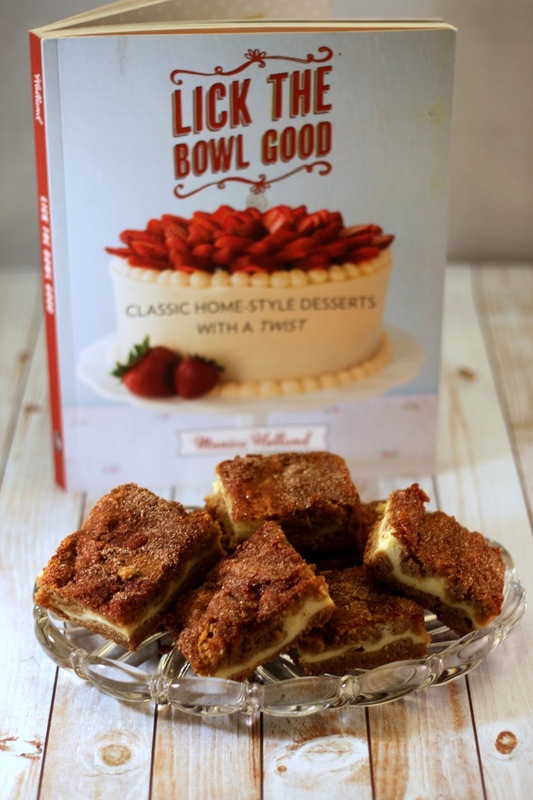 Be sure to pick up a copy of Lick The Bowl Good, Classic Home-Style Desserts with a Twist. There is a picture for every recipe that was taken by Monica herself. I am a big fan of an illustrated cookbook and if you are too you will love this cookbook just as much as I do. Using a rubber spatula, stir the flour mixture into the butter mixture and continue stirring until no traces of flour remain. Gently spread the batter trying to piece it together. If the cream cheese peeks through that's okay, just cover the top as much as you can. 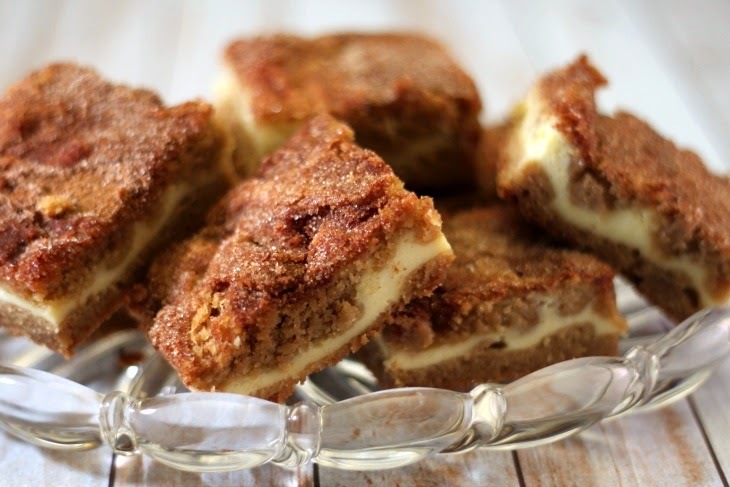 In a small bowl, mix cinnamon and sugar for the topping. Sprinkle the topping evenly over the batter. **note.... I did not have an 8 x 8 pan so instead I used a 9 x 9 pan and baked mine for 40 minutes.